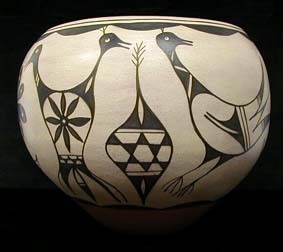 Born in 1944 on First Mesa in the village of Hano, Arizona, Neil David Sr. - a Hopi/Tewa - was carving kachina dolls before he was ten years old. 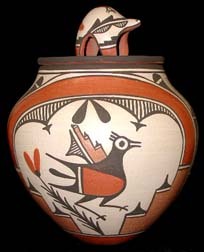 During his high school years his paintings and sketches were sold through Byron Hunter who managed McGee's store in Polacca, Arizona. 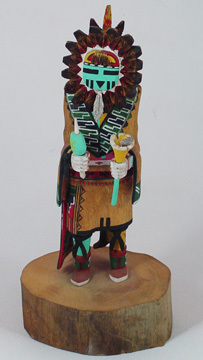 Neil's paintings and kachina carvings can be found in private collections and museums throughout the world. 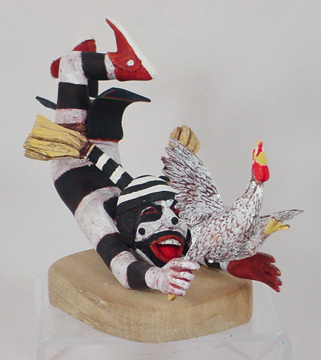 The set of 79 original paintings by Neil, published in his book: Kachinas: Spirit Beings of the Hopi, have been acquired by the Kashiwagi Museum in Tateshina, Nagano, Japan. Neil entered the army and served in Germany during the Vietnam War. 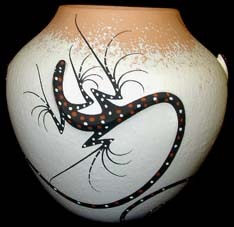 He resides in Polacca, Arizona on the Hopi Indian Reservation and continues to paint and carve. 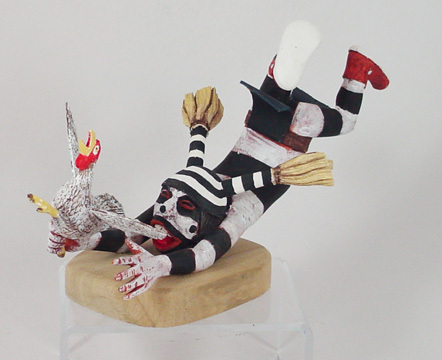 He sells his paintings and kachina dolls through art galleries and direct commissions from collectors. 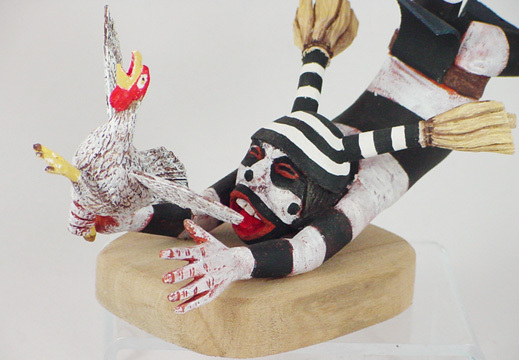 Neil's artistic talents and creativity have brought him international recognition. 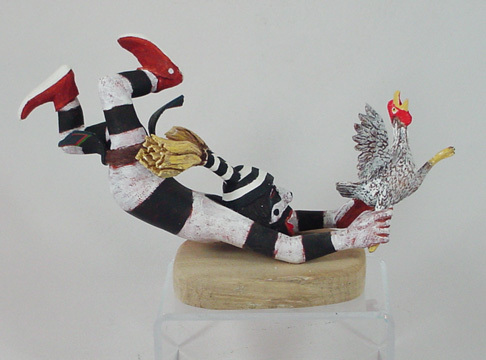 His humor is conveyed through the expressions and antics of his Clown figures. 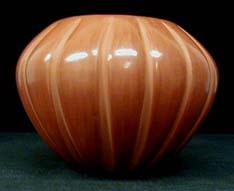 His dedication and commitment to his heritage is seen in his paintings and carvings. 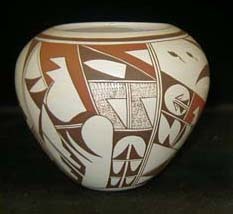 Neil's co-mingling of art and dedication to his culture gives a rare opportunity to view elements of Hopi life without intruding on the society. His insight, perception, and ability to capture on canvas, the personalities and actions of performers and spectators during the Hopi festivities have brought him wide acclaim and support for calling him "the Hopis' Norman Rockwell." 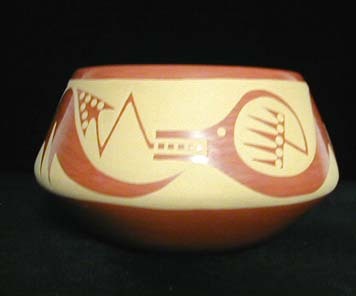 Neil's work is featured in over a dozen books and periodicals including Art of the Hopi by Jerry Jacka, Treasures of the Hopi by Theda Bassman, and Art of Kachina Doll Carving by E. Bromberg. The always mischievous and sometimes gluttonous Koshare are perfect satire of normal village life. Neil's Koshare are unique in that each has his own distinct characteristics - and personality. Their facial features, posture, and body movements tell us so much about the attitude of life in the Hopi plaza. 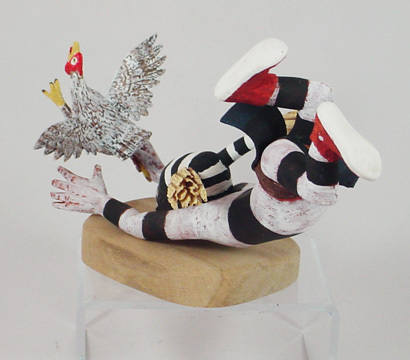 Neil's work is widely recognized due to the highly exaggerated features of his figures. Oversized ears, nose, and lips usually feature prominently.